Posted: Sun Nov 04, 2018 8:36 am Post subject: If Not A Porsche, Then What.....? I’ve recently been toying with moving my 997.1 turbo on and trying something different. So I’ve started looking at alternatives and it’s hard. Bloody hard. In each of the sports car category they’re in the top contender is always a Porsche. Take the 911 turbo. What could I change it for at the same price point that’s quicker, is as usable, reliable, as visceral as impactful? Nothing. It’s either a whole lot more money, or the newer version. Or if I decide to go for a N/A Carrera again? Look at what the competition is, regardless of the price point. And the Porsche always comes out on top. What about swapping to a mid engined model like a Cayman? Again, for the money the Porsche beats all. Except another more expensive or newer Porsche. Boxster? Same. In fact the Boxster and Cayman are extraordinarily good value. With the 986 Boxster the best value of all. I’m going to explore R8’s next, both the V8 and the V10. Maybe some BMW M cars too. I fear the former will also be great, but not great enough to make me switch. While the latter I suspect will be great but ultimately dull compared to a Porsche. But I’ll investigate and report back. Could it be that there really is no substitute? I suppose it depends what you want. If you want the everyday supercar then there isn't any substitute than Porsche. I deliberately missed out the saloon and SUV categories as I’m less convinced the ‘no substitute’ thing works there so much. 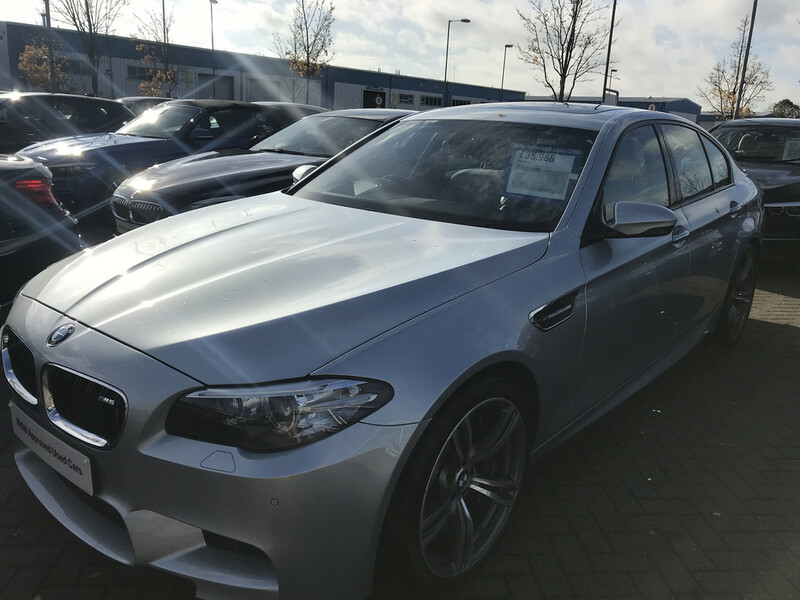 The M5 I saw yesterday for £36k was amazing value and would be my choice over the equivalent Pan-Am I think. Ahhh the quick Audi! Good shout. Plus, since the VAG partnership I believe these can be used as a daily with reliability. That’s interesting Alex. Would I choose that over a Gen 2 997 turbo....? For theatre, definitely. But for nipping down to B&Q or Tesco? I’m not so sure. Any idea what the storage is like for road trips? I'd deffo choose it over an R8 though. This thread could even be a record of my findings.....? I'm following this thread with interest. After a mad moment contemplating an F Type and a fleeting flirtation with a Cayman 981S I concluded that the only car that would get me out of my beloved 997T would be a 991 - the only 911 I've ever fallen in love with at first sight. A few months ago the time seemed right for the change as asking prices for early 991s (3.4 and S) were in my budget 'ball-park'. Unfortunately I hadn't realised why. It appears that the market is very slow meaning that, for me, the 'cost to change' is actually no better than it's been for the previous couple of years. N997b ....... Have you got as far as talking part-ex values yet. That sounds like a leading question.... Some bad news there T8? Feel free to add your experiences or thoughts too? I’d already scrubbed off the F-Type because of depreciation, practicality and general dynamics. I’m not near that point yet Terry. And may never get that far. I fear if I flipped Grace for an i8 I’d be flipping that in turn for another turbo within six months. I may take some flak for this suggestion but a V8 vantage must be worthy of consideration. I have a bit of an obsession going on with these things. They are just achingly beautiful and for me it’s a matter of when rather than if..
542bhp, 2+2, practical and rare. No flak from me Adrian. Do you remember the Top Gear segment where they took a Vantage V8, a 996.2 (I think?) and a 6 series (again I think?) to the Isle of Man? The conclusion was it looked beautiful, and agree it still does, but the dynamics were just that little bit less capable than a 911. That and I’ve heard maintenance horror stories which had kind if put me off. Maybe I need to give one a go and see how I get on? If you try one, or have tried one, could you do me and us all a favour and share your thoughts etc here? I’d love to know what you think? Tbh it’s very difficult to change a Turbo for anything else as it ticks more boxes than just about anything else! I suppose 12C’s are now starting to be in the equation, but after having driven several Macs, (including round Spa) I wouldn’t swap a Turbo for one, unless you’re going to be a track fiend. I really enjoy my M4 as a DD, though it can’t do what a Turbo can (especially in the wet!) it’s almost as fast 90% of the time, plus it’s practical and it’s ICE is second to none imo..
Its not often I look at my friend's cars and feel envious. I've got enough petrol head mates that most of the car spectrum is covered too. Curiously, the last time I can remember doing so was when I saw MJA911's GT3 before he sold it. There was just something 'right' about that car. Anyway, a lambo would definitely have me twitching! It seems to tick a lot of boxes for me, especially as my turbo is essentially now a high days and holidays car. A lambo would do that job just fine and the cost to change isnt extreme. Whilst it shares a lot of bits with the Audi (what cars dont these days!? ), at least it isn't de-tuned like the R8.